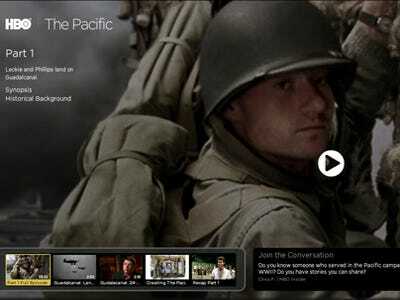 HBO posted a free episode of its new show The Pacific on its new streaming service. Time Warner’s (TWX) HBO is usually cagey about posting its content for free on the Web. But offering up a single episode is a teaser to entice new subscribers, who can sign up through their cable provider. Viewing the video requires entering a name, gender, age, and email address, so HBO Go can gather more demographics on what kind of people are using the site. They can also preview what kind of services HBO Go offers to paying subscribers, including customised schedules, sharing capabilities and, of course, a huge library of HBO shows and movies. A HBO rep told us at HBO Go’s launch that there are no plans to offer the service to online users without cable subscriptions. Check out the episode at HBO Go.